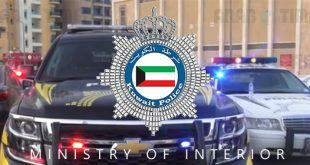 KUWAIT CITY, Nov 19: Capital Governorate police launched an intensive campaign against youths who allegedly harassed women in the parking lots of cooperative societies in Nuzha, reports Al-Rai daily. Police acted on complaints from several residents in the area, resulting in the arrest of many youths. A number of traffic citations were issued and more than one of the youths were referred to the concerned authority for failure to present valid identification documents. 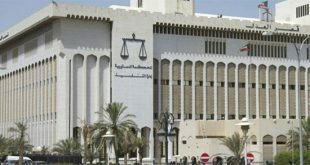 Meanwhile, a 23-year-old Kuwaiti woman filed a complaint at Jabriya Police Station against a male compatriot who allegedly assaulted her in front of her house in Jabriya, such that she got injuries in various parts of her body. The woman presented a medical report detailing her injuries to the officers on duty at the station when she filed the complaint. She also provided the officers with a detailed description of the suspect. Investigation is ongoing to identify the suspect and then summon him for questioning to verify the complaint. 11 liquor bottles seized: Ahmadi police arrested an Asian man in Mangaf for selling local alcohol with 11 bottles in his possession, reports Al- Shahed daily. While patrolling the area, the officers noticed the erratic movement of a car so they signaled for the driver, an Asian man, to pull over. This led to the discovery of the local alcohol bottles and arrest of the Asian.